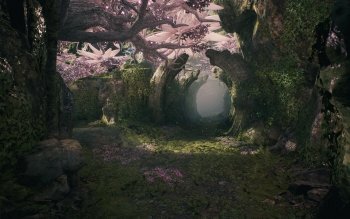 Paragon Info, Boxart, Banners, Fanart, Screenshots, Wallpapers, and More! 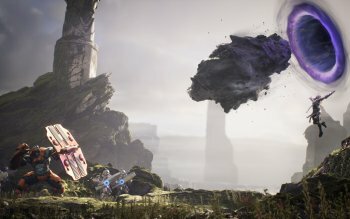 Join the fight in Paragon, Epic Games' new MOBA on PlayStation 4, which puts you in the action using direct third-person control and making deep strategic choices. Choose from an ever-expanding roster of unique Heroes, earn cards to customize your abilities, and lead your team to victory. 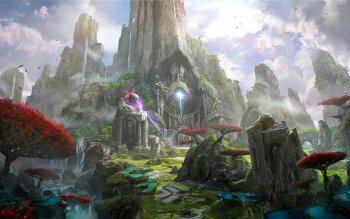 Features: Diverse roster of Heroes - Paragon has a stylish, diverse roster of Heroes that play a variety of roles in battle. Each Hero has a set of abilities that can turn the tide of battle. Heroes Untethered - Skill matters. 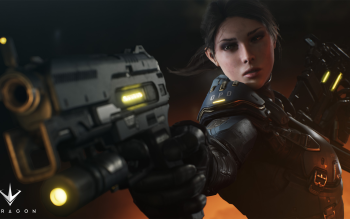 Paragon puts you in direct control of the action like you've never experienced in a MOBA. 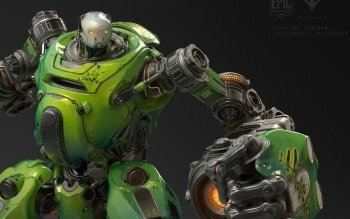 The over-the-shoulder camera and third person action helps ground the action while opening up new ways for heroes to traverse the battlefield; more than any top-down MOBA. 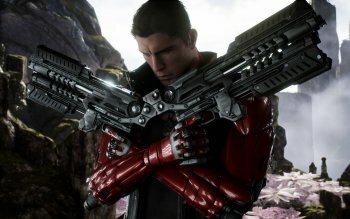 Deeply Strategic Card Item system - Customize your hero in Paragon to your play style with a carefully built item deck. These card decks will act as your item shop during the fight, which can be subsequently upgraded and define how your hero performs in battle.